Perfect for movie night or cocktail parties, the Webster Leatherette 3 Seater Sofa makes for the perfect choice in a modern household. 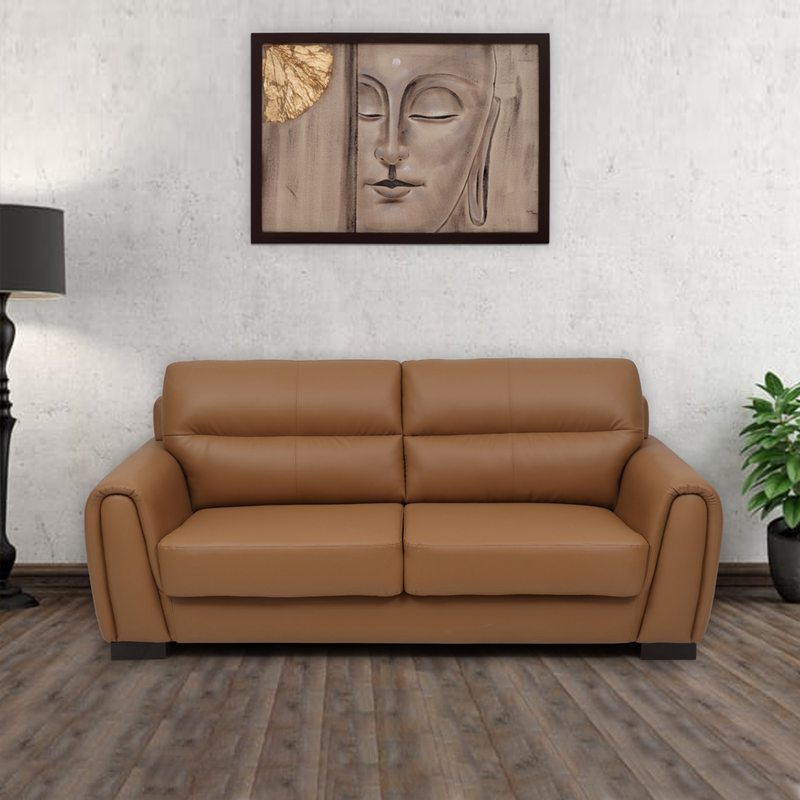 Available in a classic shade of light brown, this sofa provides a soft, comfortable feeling like no other. This is due to the feel of the of PU upholstery, as well as the premium filling. The presence of S-springs and webbing in the back and seat area result in a very resilient and firm sofa. This also means that you are provided with the optimum support for your back and shoulders. You can choose to buy this piece from our online furniture site, or visit any of our 25 furniture stores across India for the best deals in home furniture.